Thank you for visiting the website of Nyle Maxwell Alfa Romeo! We appreciate that you’ve considered us for your Alfa Romeo purchase. Nyle Maxwell Alfa Romeo is dedicated to providing you with exceptional customer service that parallels the premium quality of our vehicles. 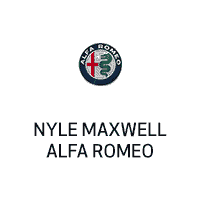 Our experienced and dedicated staff will guide you through every aspect of the shopping process.At Nyle Maxwell Alfa Romeo, we sell vehicles that offer the best of performance and luxury. Feel free to browse our inventory of new and used vehicles, contact us with questions, set up a test drive or apply for financing. Car and Driver just released their magazine cover and the title boldly shows “Alfa Romeo Stomps Porsche and AMG”. This is kind of a big deal especially for the brand Alfa Romeo releasing their first SUV this last year. The fact that Alfa Romeo Giulia won Car of The Year and now this, Alfa Romeo is getting some big shout-outs from the big boys. Also, Car and Driver created a side-by-side review of the three vehicles which included; price, dimensions, powertrain, driveline, chassis, and Car and Driver Test Results. Alfa Romeo released their first SUV last year and it has made an impact in the luxury SUV realm. Below is the comparison chart that Car and Driver released.